The irruption of WikiLeaks, Anonymous, Snowden and other tech-savvy actors onto the global political stage raises urgent questions about the impact of digital activism on political systems around the world. Drawing on research from his forthcoming monograph, The Rise of Nerd Politics offers an anthropological exploration of the role that such actors play in sparking and managing new processes of political change in the digital age. 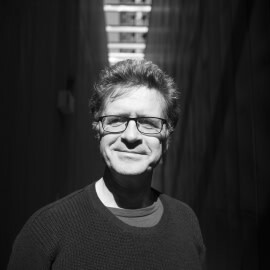 Join us for a lecture and discussion with John Postill, Senior Lecturer at RMIT and Digital Anthropology Fellow at University College London, on data activism, social protest, and the rise of global nerd politics. Drawing from long-term ethnographic research in Spain and Indonesia – as well as case studies from the United States, Iceland, Tunisia, Taiwan, Brazil and elsewhere – Postill tracks the rise of techno-political ‘nerds’ as a new class of political brokers with growing influence. In doing so, Postill identifies and explores four domains of ‘nerd politics’ that have dramatically expanded since 2010: data activism, digital rights, social protest and formal politics. 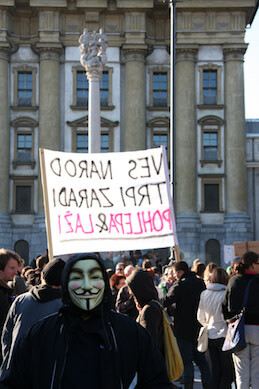 Image: An anonymous protester at the ‘occupy’ protest on Congress Square, Ljubljana, Slovenia, taken by Yerpo. John Postill is Senior Lecturer in Communication at RMIT University, Melbourne. His recent work includes *Localising the Internet* (2011) and *Media and Nation Building* (2008) and *The Rise of Nerd Politics* (2018).